A highlight of the IECA conference was the accompanying college visits to surrounding campuses. Admissions offices provided excellent opportunities to meet faculty, hear student panels, and tour campuses in depth. As a tour facilitator, I enjoyed the opportunity to connect with the admissions officers and fellow IECA members. 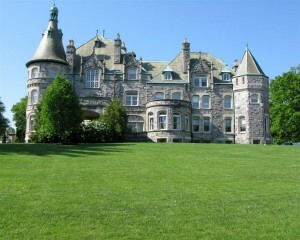 Bryn Mawr is a beautiful women’s college close to Philadelphia with a very strong sense of community. It is part of the tri-college consortium with nearby Haverford and Swarthmore. Freshmen are housed with upper-level students, and peer mentors and strong dean support are paramount. As we strolled through campus and passed by the charming Katharine Hepburn House, students were out on the gorgeous lawns enjoying a spring day. Bryn Mawr was the first college in the US to offer a PhD for women—one-third of students major in the sciences, with 75% of students going into higher education within six years. Interesting programs include The Women in Public Service Program in conjunction with the US State Department and the Growth and Structure of Cities Department. I noticed many men on campus from both Haverford and Swarthmore and learned that all classes are one-quarter to one-half men. Bryn Mawr is test-flexible with a combination of AP, SAT, ACT and SAT Subject Tests sufficing for applicants. Bryn Mawr is also included in this fun Los Angeles Times article , 5 Colleges whose architecture echoes Harry Potter’s Hogwarts. Collaboration is key at Swarthmore College, where students are usually involved in many campus projects and programs. Over 90% of students live on this very small campus all four years. Intellectual curiosity and passion about the world are critical at Swarthmore, with many students continuing on for PhDs. 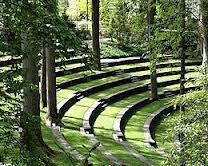 An outdoor amphitheater graces the wooded 425-acre campus, and music and theater are both popular, but few major in these fields. Socioeconomic diversity is important in admissions, and 25% of students are recruited athletes (very few walk-ons). Swarthmore is unique for a small, liberal arts college, offering general engineering as a major, which includes coursework in math, computer science, and chemistry. Students wishing to study in the tri-college consortium of Haverford and Bryn Mawr take a shuttle to these other campuses, and if courses are not offered at these schools, students may study at the University of Pennsylvania. The Honors Program at Swarthmore is distinctive in that upper level students are evaluated in the tutorial system by Independent Scholars, including faculty from other universities or experts from Google for example, who travel to campus to perform these evaluations. Demonstrated interest is important for admission to Haverford; however, if students are unable to visit, they should show interest in another manner such as contacting the admissions officer for their area. Students are encouraged to discuss learning disabilities if they are comfortable doing so. Admissions officers rarely have time to review supplemental materials such as resumes and DVDs unless they are applying specifically into a music or theater program; for this reason, they highly discourage additional information. The arts program is operated in conjunction with Bryn Mawr, with their orchestras combined. A senior thesis exemplifies the strong research orientation of Haverford, and the Honor Code is important at this Quaker school. There is no core curriculum but there are some distribution requirements. Three-quarters of graduates pursue an advanced degree. Athletics are important at this Division III school, and this series of articles in The New York Times, while written several years ago, provides an excellent review of the recruiting process at highly selective small liberal arts colleges. All students are required to live on campus all four years, building a strong sense of community in a very collaborative environment. More students at this Ivy League university than at any of the other Ivies opt to study abroad. Students must apply to the School of Nursing, Business, Arts and Sciences or Engineering as freshmen, and transferring between schools is very difficult. 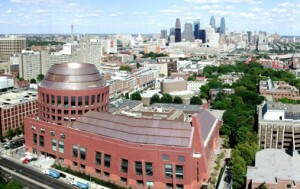 Coordinated dual degrees through the Wharton School of Business are offered in business and engineering, international studies and business, life sciences and management, and nursing and health care management. The strong creative writing program is housed in the Kelly Writers House. Sixty percent of students live on campus, and 30% are involved in the off-campus Greek system. Philosophy, Politics and Economics is an excellent major for those pursing a law degree. Over the summer, engineering students often work with faculty on research projects, and many grants are available in multiple fields. As we walked through this very urban campus, we noticed an abundance of students in the libraries preparing for finals in this very competitive environment. 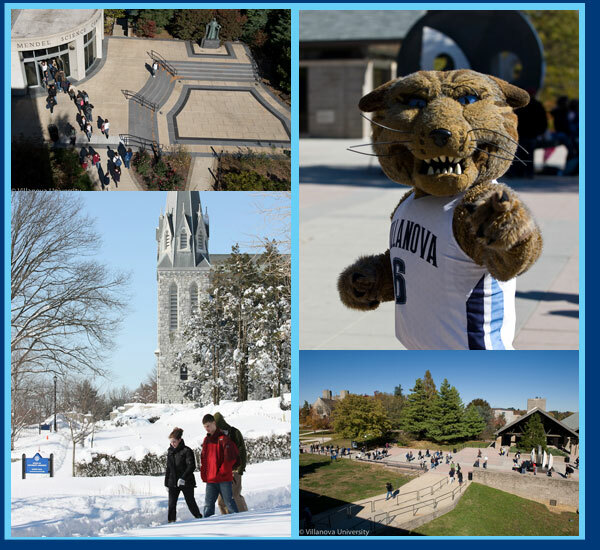 Just a short train ride from Philadelphia, Villanova University is a beautiful campus located in a quiet suburban area. Founded in 1842 by the Order of St. Augustine, Villanova’s Augustinian Catholic tradition is the foundation of their academic community. Service learning is important at Villanova, and many service trips are part of the experience for undergraduates. Engineering students are well supported, and get the opportunity to study abroad as well as participate in service learning related to engineering. School spirit at this Division I university is strong, as is the overall sense of community on campus. Greek life is also very popular. Collaboration, rather than competition make this a supportive learning environment. Drexel University is a very urban campus, located in the heart of downtown Philadelphia. Known for their co-op program, students are encouraged to participate in paid internships in their area of interest. This opportunity can benefit students in many ways, providing real-world, hands-on experience, while getting paid and earning credit. Students report that they learn what they do not want to do, as well as finding areas that they decide to pursue. Drexel has also been generous with merit aid offers for students.